If you ask Jorja Lerner for wine recommendations, she’ll have plenty to say – just don’t ask her what her favorite wine is. “I always say that’s like asking which of your children you love more,” exclaims Jorja. “I enjoy all of them!” And with as many outstanding wines as Harney Lane Winery produces, it’s understandable. The Harney Lane property was first purchased in 1900 by Jorja’s Great, Great Grandfather. Soon after, the first vineyards were planted. But it wasn’t until 2006 that Jorja, along with her husband, Kyle, and her parents, Kathy and George Mettler, decided to venture into winemaking. Now they are known throughout the area for their exceptional handcrafted wines, all of which are estate grown and Certified Green. So, back to the earlier question of whether or not Jorja has a favorite wine – the answer is still no. But, she adds, she does often find herself drinking the Chardonnay, which blends the aromas of apple, pear, and white peach with toasted nuts and butterscotch laced with honeysuckle. And then, of course, she’s also quite fond of their famous Zinfandel. Harney Lane is known for the quality and unique flavor of their award-winning Old Vine Zinfandel, which hails from their historic, 114-year-old Lizzy James Vineyard. With bold, spicy flavors, this wine has a big, delicious taste you won’t soon forget. If you haven’t tried their wines yet, then a day of wine tasting should be on your to-do list. “Wine tasting is all about the experience!” proclaims Jorja. “When guests visit us, they can expect a warm and welcoming environment.” You can also find Jorja’s mother pouring behind the bar more often than not – make sure to ask her to tell you tales of the family’s history! 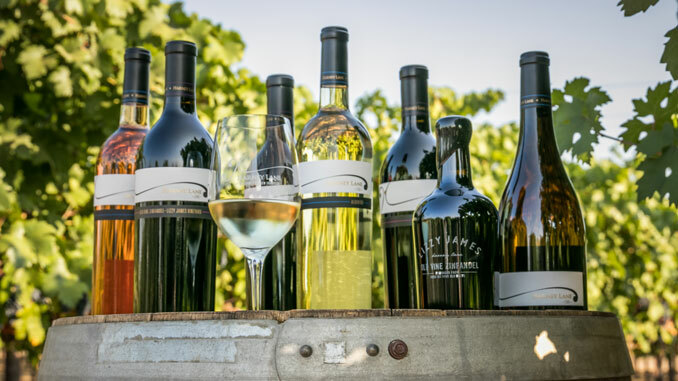 And although Harney Lane boasts beautiful grounds that are perfect for relaxing with a glass of wine, they also have something for those who are interested in the inner workings of a winery. Anyone looking for an educational experience should sign up for their award-winning Grape to Glass Tour, which won first place in USA Today’s 10 Best Contest. “We also have other fun education events sprinkled throughout the year, such as our winemakers series, wine and cheese pairing, and more!” adds Jorja. From the vineyard to the bottle, the folks at Harney Lane are committed to quality every step of the way. “While we may see growth in our production, that will never change,” promises Jorja.